This year will mark the 20 year anniversary of Flying Kick here at the studio. I have been thinking of the many things we have done here at the studio and how we have grown in many different ways. Flying Kick was founded when I consolidated numerous locations and overnight and day camps (no more overnight camps!) from around the DC area into what eventually became Flying Kick Fitness. Shane and I have taught so many children over the years and it has been a real privilege to see and guide them as they become adults and find their paths in life. Most students come to us very young and stay for many years. Flying Kick has been a second home to many families as a place where they can relax, train, and have fun, all within a supportive and caring community. Over time, Flying Kick has grown into such a vibrant community of people not only training, but also growing and sharing together. This community includes current students as well as the past students who drop in to visit and also extends to the location schools where we have after school programs and our newest location, Just for Kids. I especially love when past students and families come to visit. It’s a wonderful thing to see that we have been a positive influence on so many young lives as they have have grown up and found their place in the world. How many teachers have the privilege of teaching the same children year after year and seeing them grow and learn for so long? 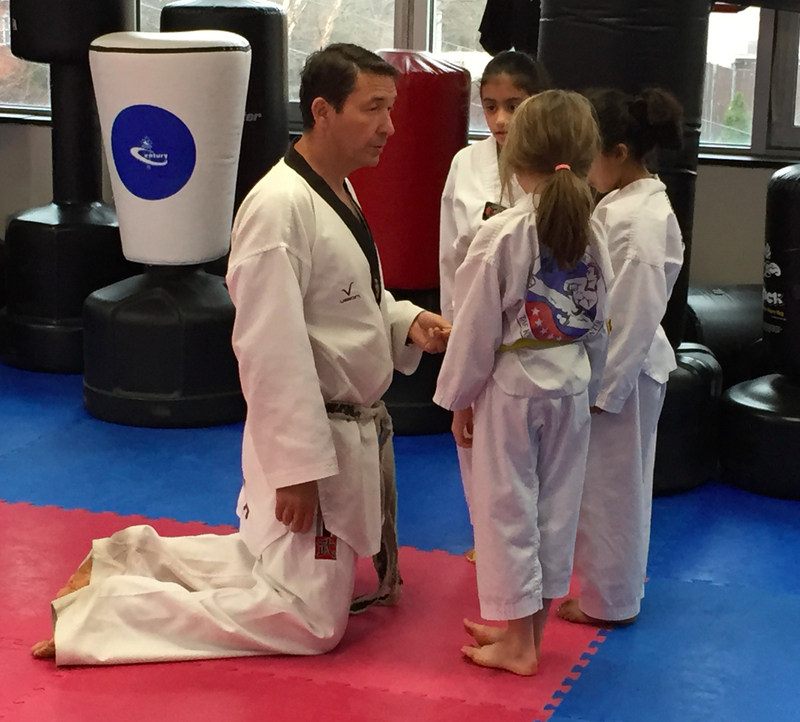 As a parent and an educator I am always happy to see our Flying Kick students grow beyond just what they learned from Taekwondo; these students use their Taekwondo experience as a way to approach other areas of their lives and become productive members of the larger community. Flying Kick is ultimately about values and about providing students with tools and skills that will help them become better members of society. This is one of the unique things about the community that Flying Kick has become. As we approach our 20 year anniversary at the studio it is gratifying to see Flying Kick continue to add locations and students, grow, and give back to the community as so many of our students have through the years. I precisely wanted to thank you very much all over again. I’m not certain what I could possibly have created in the absence of the actual hints contributed by you on this problem. It previously was a very frustrating matter in my circumstances, but witnessing a new expert tactic you dealt with the issue made me to cry over contentment. I am just happy for this guidance as well as believe you know what a powerful job you’re providing teaching people today with the aid of your blog post. More than likely you haven’t encountered any of us.